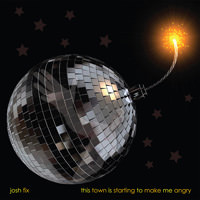 San Francisco-based multi-instrumentalist Josh Fix's debut album "Free At Last" was released to high-praise reviews in the USA in 2008. Leading the way was Time Out New York's ranking of the album at #8 in their Best Rock Albums of 2008 list, followed by a slew of well-received reviews and press coverage in everything from the San Francisco Chronicle to the Boston Herald and New York Daily News, which helped cement Fix's reputation as a shining new talent. Geben Sie Ihre E-Mail-Adresse für Josh Fix bezogene Nachrichten & Aktuelles.